Rich County is a county located in the U.S. state of Utah. 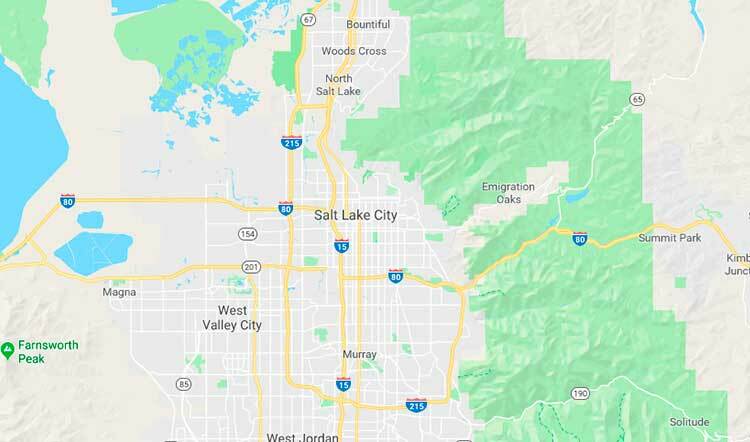 As of the 2010 census, the population was 2,264, making it the third-least populous county in Utah. Its county seat is Randolph, and the largest town is Garden City. The county was created in 1864. It was named for an early LDS apostle, Charles C. Rich. The southern half of Bear Lake and the Bear Lake Valley lie on the northern edge of the county. The Bear River Valley lies in most of the eastern portion of the county. The elevation of these valleys is close to 6,000 feet (1,800 m), and the rest of the county is covered by mountains, including the Bear River Range. Because of the high elevation the climate is cold in winter and mild in summer, and the population is limited. There are only four significant settlements in Rich County. According to the U.S. Census Bureau, the county has a total area of 1,086 square miles (2,810 km²), of which 1,029 square miles (2,670 km²) is land and 58 square miles (150 km²) (5.3%) is water. The Bear River Valley is created by the Bear River and consists of the east-central portion of the county. The towns of Randolph and Woodruff lie in this farming-oriented valley. Its high elevation makes this region one of the coldest areas in the state. Woodruff has a record low of −50 °F (−46 °C) and temperatures rarely exceed 90 °F (32 °C) during the summer. Snow is heavy in late autumn, winter, and early spring and remains on the ground for the entire winter.